This will be the last update on this post. I hope everyone enjoys the IOTA programme as much as I enjoyed activating this Island. 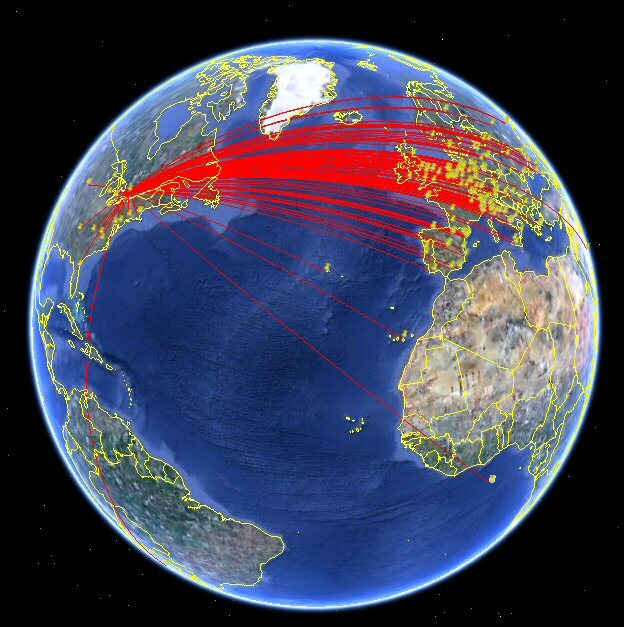 Total number of stations contacted was 214, using PSK and SSB on bands 40m, 30m and 20m. The image below shows the vast majority of the final QSO's. I had three pileups, 2 on SSB and 1 on PSK. All three resulted in a run on QSOs and tested my skills to copy under newly discovered strenious conditions. PSK pileups are interesting indeed, as unlike SSB where you can hear many voices each calling their own callsign, PSK simply reverts to jibberish. The table below lists the QSOs if anyone has droped by to check. I have uploaded to eQSL.cc and HRDlog.net. I have started the process to obtain "AG" status on eQSL.cc but this is not complete at this time, although I expect a week or so to completion. I expect to complete paper QSL cards and follow up on the IOTA QSL rules this week. The farm house where we stayed was very comfortable and quiet. The 3 element portable yagi was set for 20m an pointed at EU most of the time. The snap below is of a sunrise at about 5:00 AM, and yes, every sunrise was as pleasent. Inside, the operating station was a simple table near the front windows, with a stunning view of the water's edge. Of course it was not all ham radio all the time, and there were plenty of hours just to take it easy. The WX was super and it did not rain one single day while we were there. Thanks again, and 73 till next time. 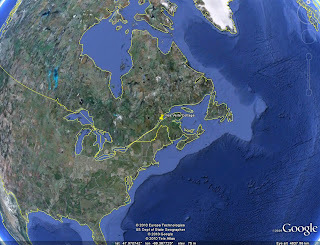 I am planning to activate the island of L'ile Verte in the St Laurent Seaway in the Canadian province of Quebec. The activation will be on the week of Monday May 17. 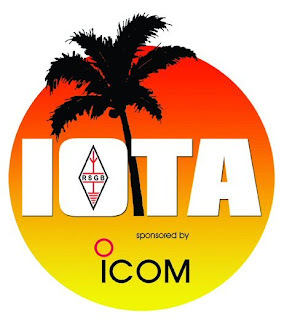 I realize that this island group (NA-128) has been claimed by 42% of IOTA participants, however I am looking forward to the trip and the portable operation activity. Claimed by: 41.8% of participants. 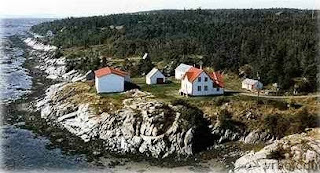 Location: L'ile Verte is a small island in the St Laurent Seaway. 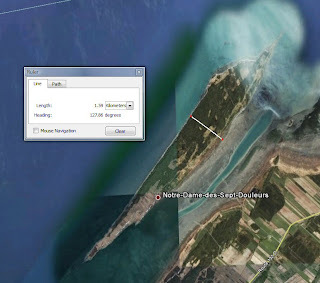 About 11km long and 2km wide the island is dominated by farm and undeveloped forest land. Only a light sprinkling of summer and permanent residences season the land. On a larger scale, you can anticipate that DX to Europe, South America are going to be in the cards. Accommodation: We will be staying at a rented property on the island with plenty of room for the ham gear.